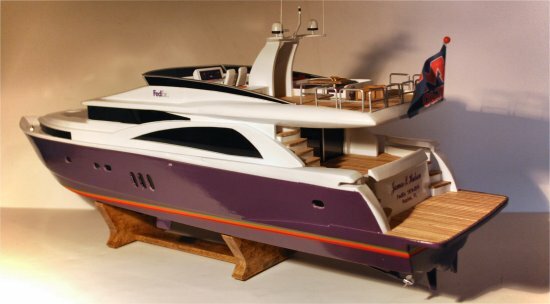 2010 custom "FedEx" luxury cruiser model. The Johnson 75 was introduced in 2007/2008 after the great success of the Johnson 87. Model was built from concept plan views and some images of her hull under construction. She has an epoxy-resin coated cherry planked hull and all wood upper-structure.